We're a Crown Battery Dealer. We stock a large variety of cells and trays to meet most needs within just a few days. We also have a large inventory of used batteries. Contact us so we can match you up with the right product! We build our own chargers from the ground up. We can match our chargers to most any needs. We also have a large inventory of used chargers. Contact us so we can match you up with the right product! 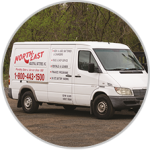 We offer onsite and in-house service and repairs to most batteries and chargers. We offer site surveys and battery washes just to name a few. Contact us to we can maximize the performance of your fleet! 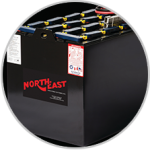 Northeast Industrial Batteries, Inc. is a third generation, family owned business with over 50 years experience manufacturing and distributing industrial batteries and UL and CUL approved chargers to the material handling industry. 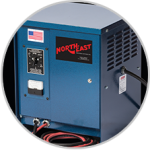 ©2019 Northeast Industrial Batteries, Inc.